As we journey through life and long for answers to the many things we face we must "walk by faith, not by sight." Won't you join me on this walk? But out of the use of Sarah’s book came an idea. Anyway through some preaching (thanks hubby) and reading on my own and some circumstances in our world we live in I have been wrestling with some questions. Now I am not going to share this questions right now with you. but as write over the coming weeks maybe you will begin to see what I have been struggling with. 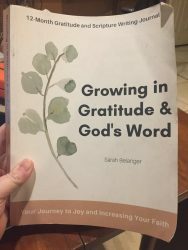 As I have worked through 6 days of verses based on love I began to ask myself a different question What if we took those verses and applied them to how we love God. HMMMM! What triggered this you might ask, well First Corinthians 13 to start. LOVE IS PATIENT- when we hear this at least for me I immediately apply this to my immediate relationships MY husband and kids, but maybe for others it is your parents, or your…..whatever. But what if we looked at is as showing love to God by being patient with him timing? We so often look at a situation we have been trying to wait patiently on God for- and then one day we just decide enough is enough God needs some help- I’m just gonna give this a nudge in the right direction…..MY direction. Verse 3b says Love does not demand it’s own way! Wowsers!! That has all sorts of implications in our world today! So Many say I love God but I’m still gonna choose……you fill in the blank with a sin of choice…..But when we get to February 28th and the verse says in John 14:15 IF you love me you WILL keep my commandments. This is just one of the areas we will touch on overs the coming weeks in February ( and one I’m sure will land in March). This isn’t going to be an everyday discussion. It will probably look like every 5 to 7 days depending on our crazy schedules! Have you ever looks at verses about loving others and put God in that place I mean after all He is …. 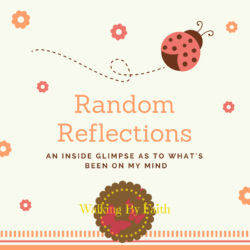 This entry was posted in Random Reflections and tagged Idea, Love, random Reflections. « Happy Homemaker …..TUESDAY? UGH!